Abe Mosseri and Daniel Negreanu battled soo late into day 3 of the 2017 World Series of Poker$10,000 Omaha eight-or-better championship that play was ultimately halted for the night despite the schedule calling for this tournament to only last three days. 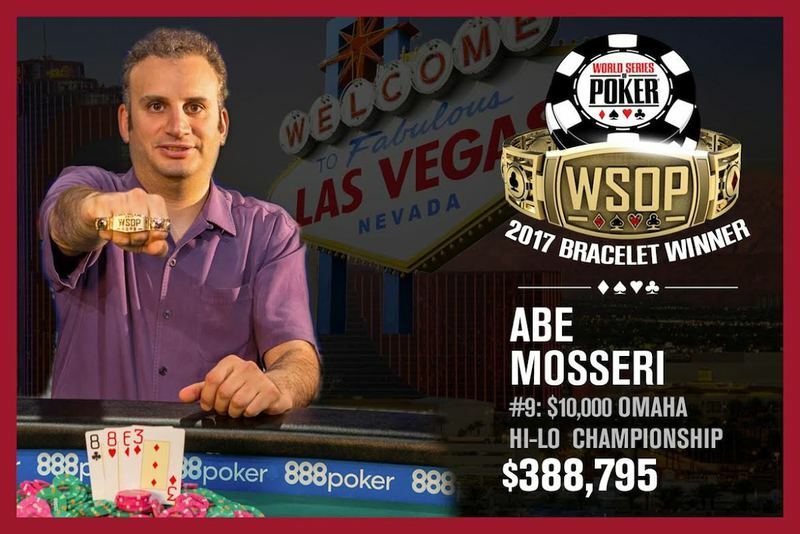 Mosseri returned with a 2-to-1 chip lead over a six-time bracelet winner and the all-time tournament earnings leader in Negreanu. In the end it took only four hands to determine the champion, with Mosseri winning each and every pot on day 4 to capture his second WSOP gold bracelet and the first-place prize of $388,795. 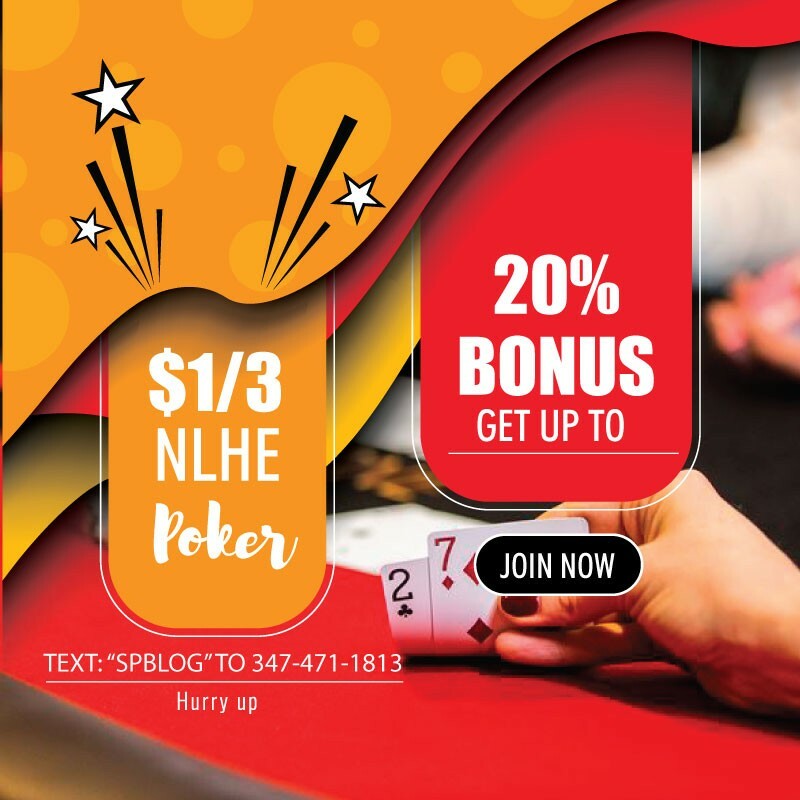 Mosseri is a high-stakes cash game player, who is more likely to be spotted playing in mixed games at Bobby’s room than at a tournament table. Despite that, he now has lifetime live tournament earnings of $2,107,406 and two career titles, both coming at the WSOP. His first bracelet win came in the $2,500 deuce-to-seven triple draw event back in 2009. Mosseri was the chip leader with 17 players remaining heading into what was supposed to be the final day of play. He outlasted the likes of Dan Shak (16th – $16,958), Max Pescatori (15th – $19,918), David Baker (14th – $19,918), Owais Ahmed , (11th – $23,982), John Monnette (9th – $29,582), Mike Matusow (8th – $37,361) Anthony Zinno (7th – $48,287), Ray Dehkharghani (6th – $63,831) and Fabrice Soulier (4th – $119,109) to make it down to three-handed action against Negreanu and Yarron Bendor. The final three battled it out for roughly five and a half hours, with each player taking a turn being the leader and the short stack. Eventually, Bendor succumbed in third place ($166,895)). To set up the final heads-up showdown between Mosseri and Negreanu, which started out with Negreanu holding a solid chip advantage of just less than 3-to-1.
. Mosseri’s kings and eights were good to scoop the pot, securing him the title. Negreanu earned $241,851 for his runner-up showing. This was already his second final table finish of the 2017 WSOP, having placed third in the $10,000 no-limit hold’em tag team championship just a few days earlier.